One of the biggest mistakes that professionals of all walks of life make is underestimating their need for disability insurance. Remember, you aren’t invincible and an injury or illness could threaten your financial future. It’s easy to assume that if you are young and in good health, disability income insurance won’t be much of a financial priority. But did you know that 1 in 4 of today’s 20 year olds will become disabled before they retire? Or that 90% of disabilities are caused by illnesses not accidents? If at any point you are out of commission, you’re going to need to find a way to supplement that lost income. It is recommended that workers purchase enough insurance to replace about two-thirds (66 %) of their income since employers may not offer enough coverage. In addition, most employers only offer coverage if the injury or illness occurs while on the job, so if you twist your ankle on your way to work, you’re out of luck. According to a Bankrate.com survey, about three-fourths of employees don’t have enough savings to cover six months of expenses. Which means if you become disabled or fall seriously ill, not only will your income cease, you will still need to pay your rent or mortgage, car payments, utilities, student loans and any other expenses. What’s more, is Social Security Disability Insurance doesn’t offer much to recipients. Most SSDI recipients receive between $300 and $2,200 in monthly benefits. For 2015, the average SSDI payment is $1,165 with a maximum benefit of $2,663. Is that enough to cover all of your monthly expenses? In addition to having enough funds to cover several months of lost income, you will need to determine which type of disability insurance is right for you. 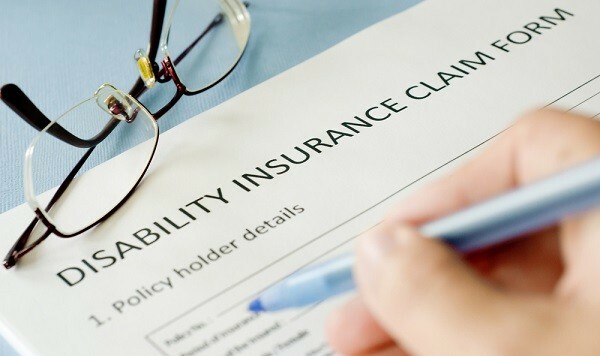 According to the Bureau of Labor Statistics, 23% of employers offer their workers short-term disability insurance, and about 34% offer long-term disability plans. What’s the difference? Short-term disability policies typically cover a percentage of your income if you are unable to work anywhere from a few days up to six months. This type of policy generally has shorter waiting periods before your benefits kick in. Long-term disability protects your income from more severe disabilities and illnesses that may put you out of work for years. This policy can come into play after you’ve exhausted your short-term benefits. Some policies last up to 10 years, or you can sign up for a policy that covers you until age 65. The good news is that more people and more employers understand the need for these types of benefits. In fact, 68% of Americans agree that most people need disability insurance; however, only 30% have it. It doesn’t matter how much money you earn or how healthy you are, it’s still a good idea to have this coverage in your back pocket should the unfortunate happen. One of the best ways to find supplemental disability insurance coverage is to go through a professional group or association like the AAFP. The AAFP Insurance Program offers individual disability insurance at affordable group rates to protect you and your family’s lifestyle. Remember that your ability to earn a steady income is your greatest asset and it’s your responsibility to protect it. This form of income protection will help provide for you and your loved ones during your recovery so you won’t have to struggle to make ends meet. Don’t make the mistake of underestimating your need for disability income insurance. Check out this infographic to learn more about how a disability could cost you your health and your income.